Wonderstruck is now available! 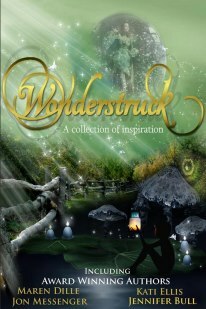 Get Wonderstruck TODAY from Amazon! 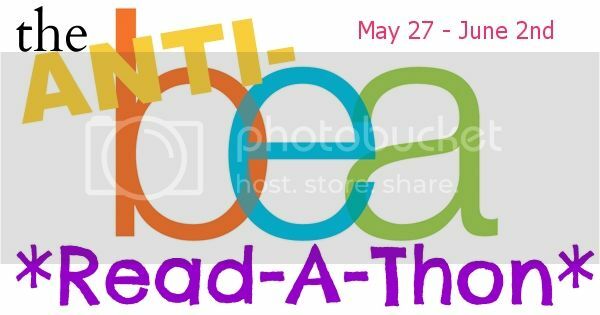 The Anti-BEA Read-A-Thon is a one week read-a-thon for those of us who are not able to go to BEA and want to distract ourselves with reading. This is a very last moment decision for me. I literaly jsut saw a post about it and thought, "What the heck, let's do it!" For more info on the read-a-thon you can visit this page. This is a very casual read-a-thon and I like that, 'cause I have no idea how much reading I'll be able to do (there is a huge project in one of my classes that I have to finish in a week). First book I am going to read for the read-a-thon is Magician's End. I am already 262 pages in. Welcome to my fourth Showcase Sunday, I didn't have one last week cause there was nothing to showcase, and probably I won't have one next week either. Everything has been really slow for my reading life cause I am getting closer to the end of my semester and that means, projects, projects and then exams. Anyways, let's see what I got last week. I bought these two beauties. I am currently reading Magician's End, I can never wait to read the books in Riftwar Cycle, so I just put everything aside. It is brilliant. I can't believe after 30 books this is the end. Of course, I also bought School Spirits. The book fits perfectly with my Hardbacks of the Hex Hall series. I will probably pick this up next (along with my review books) cause I adored Hex Hall and can't wait to find out Izzy's story. 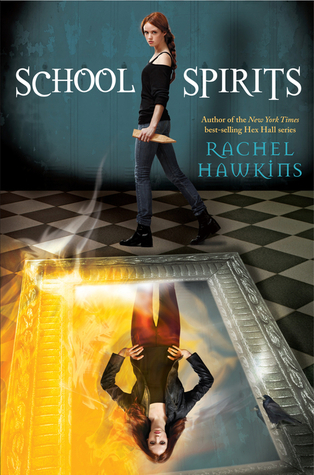 I heard that, School Spirits might not have a sequel, but I seriously hope that's not true. 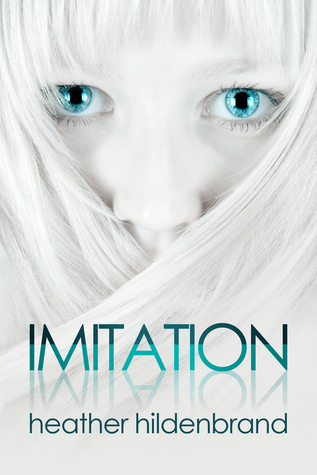 Earlier that week I won Imitation by Heather Hildenbrand, it seems like a really interesting book. 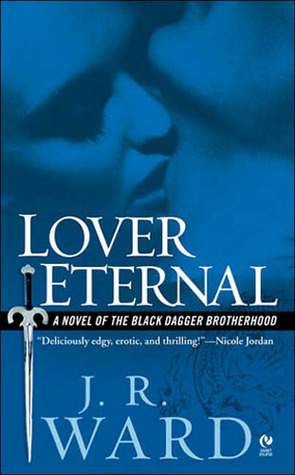 I still haven't read her Dirty Blood series, so I will start from there first. That was it for me. Leave me links to your new hauls. Today I am really excited to welcome Gabrielle Arrowsmith to talk about her new book Concealed in the Shadows that was just released. Don't forget to roll down to the end of the post for the giveaway. 2. What inspired you to write Concealed in the Shadows? Advancements in education and research that I had been reading about chip implants sparked the development of the ideas that I eventually put into the novel. 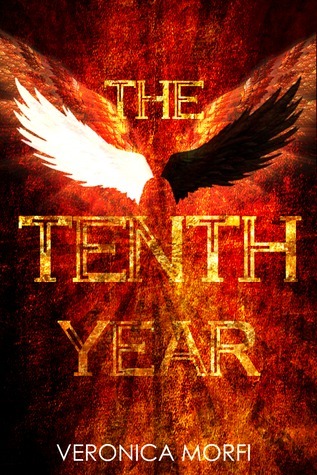 The inspiration came from reading a number of powerful young-adult series. I simply had to try my own hand at writing. Thus, Concealed in the Shadows was born! I refer to the space as 'my office', but I am definitely guilty of writing while sitting up in bed. I have a nice lap tray and back rest, so why not? I always have a pencil and a flood of papers where I've made sloppy sketches of the setting or jotted down notes about things that are coming up or things that I need to remember for consistency and continuity. I often have my phone which houses a long list of character names. Lastly, I sometimes have a pet cat or two who do not recognize that I am in 'my office' working. My keyboard is their stomping ground. Ugh. I have new favorites all of the time-making this question difficult to answer. For now, I'm going to go with Flowers for Algernon, The Hunger Games (series), and The Kite Runner. My favorite dramatic movies include Pay it Forward and Pearl Harbor. May favorite action/adventure films with a comedic flare include Pirates of the Caribbean and Sherlock Holmes! I don't watch much television, but I like to watch the occasional episode of The Mentalist, The Big Bang Theory, and Friends. You should expect two more book in this series. I also have ideas for a few stand-alone novels. One is flourishing against my will and egging me on to write the story. The current series is developing too, and it takes precedence! Enter to win an e-copy of Concealed in the Shadows and a bookmark. I decided to do a post about some very interesting things that are coming our way. 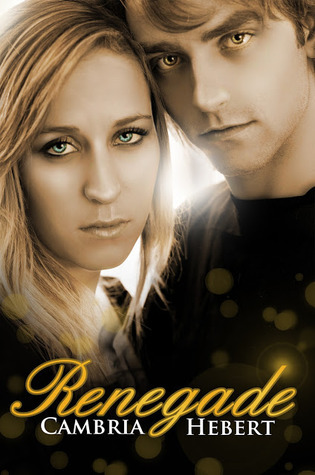 First of all Cambria Hebert's latest book, Renegade, is out and the book tour has already begun. You can find the schedule here. You can also check the book out on goodreads. The next thing that was just announced is the Apocalypse! Blog Hop hosted by Rainy Day Ramblings, Love of Books and The Noctural Library. You can join in here. I helped in this blog hop by making the banners and buttons so I am very excited to see them on sidebars all around the blogosphere. More exciting news came from two of my favourite authors, Rebecca Gober and Courtney Nuckels, co-authors of the ELE and the Nightmarchers series. Those two ladies are part of the Clean Teen Publishing team, that just started and has a few books planned for release already. One of them being Concealed in the Shadows. You can join the cover reveal party of Concealed the Shadows here and enter to win an amazon gift card and a CITS bookmark. More exciting news are coming in the form of new releases!!! Bella Forrest's new book just got published. 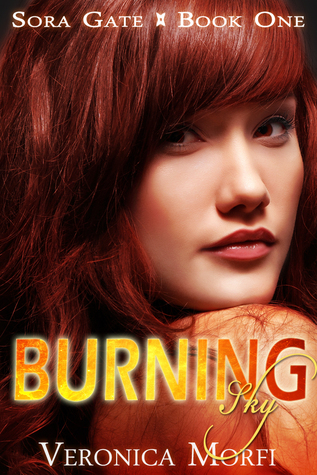 I love her A Shade of Vampire series and can't wait to read something else by her. You can find Beautiful Monster on amazon. 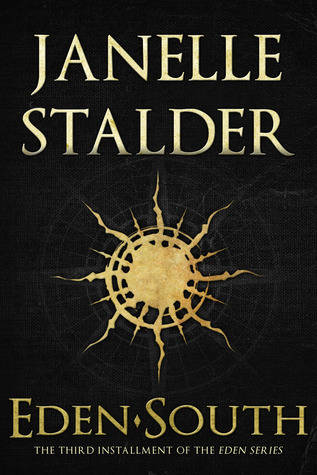 This is the last book in the Riftwar Cycle. It's book number 30 or 31 (not so sure)!!! 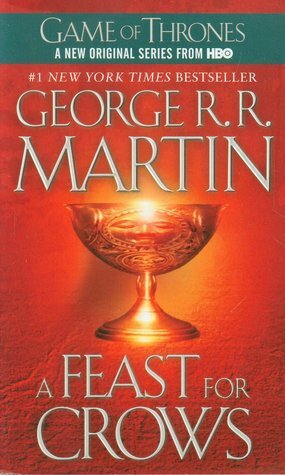 I am a huge fan of the series and can't wait to read this one. Although I am kind of sad that the series is coming to an end. You can find Magician's End on amazon and TBD. Another new release that is already on its way to my home is School Spirits. I loved loved loved the Hex Hall series and I am really looking forward to this spin-off about Izzy. You can find School Spirits on amazon and TBD. Last week I didn't buy any books but I got a few for free. The Descent Series: This is still free on amazon and it sounds like something really cool. 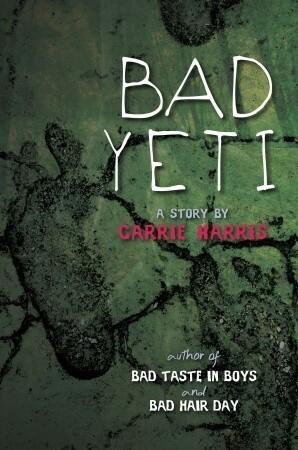 Bad Yeti: I loved Bad Taste in Boys and can't wait to read Bad Hair Day, so you can guess I was very excited when I saw there was a novella in between. I got Bad Yeti with a gift card I won in an ELE Series Street Team contest. That was all for me :) Leave me links to your new books. Today’s guest post is provided by author Sherry Soule, who is celebrating the release of her novel, IMMORTAL ECLIPSE—due to be published April 30, 2013. 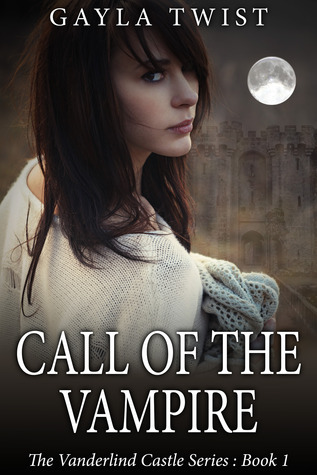 If you like supernatural suspense mingled with a dash of chick-lit and a healthy dose of paranormal romance, then this is the book for you! Take this super fun quiz to discover which paranormal pet you’re fated to own, and score an eBook version of IMMORTAL ECLIPSE. Mostly a's: Your pet is a cat! 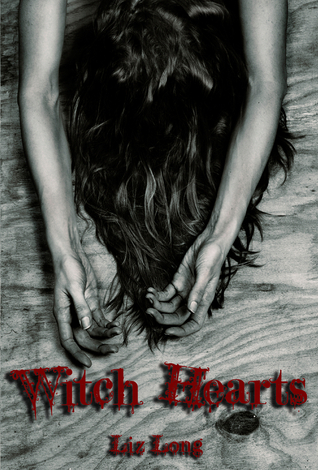 Witch’s has used familiars for years to help increase the power of their spells. Cute and helpful! Mostly b's: Your pet would be a Shade! These affectionate creatures are a cross between a puppy and a dragon. Small but fierce! Mostly c's: Your supernatural pet is a ghost dog! These creatures are often dubbed hellhounds, too, and they are vicious animals. Muscular and opaque! Mostly d's: Your pet is a ferocious lycan! These were-creatures make impressive guard dogs. Clever and scary! Hope you enjoyed this post. 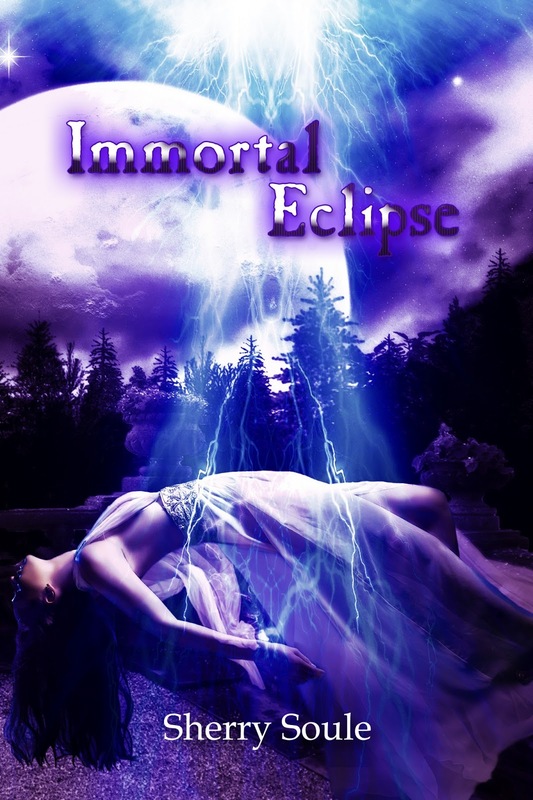 If you haven’t seized your copy of IMMORTAL ECLIPSE yet, please do so. Chilling and steamy escapades await you! April was a very slow month for my reading. I had all this homework to do and I kind of got a bit behind. I only read two books and start two more. I just hope May will be better. The good part is that EDEN-SOUTH was A-M-A-Z-I-N-G. And Call of the Vampire turn out to be really great too. Both books are pretty great so far. 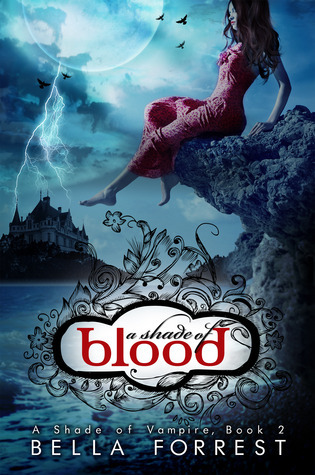 I was very excited for both of them, especially A Shade of Blood, since I loved A Shade of Vampire. There was supposed to be a guest post and giveaway with Sherry Soule this Monday, but I got a bit side tracked and didn't do the post. But it will be up tomorrow, so make sure to visit me again. These are all review books that I have to read next month. Hopefully I will manage to read something else too. Probably another R.L. Stine Cheerleaders books. Leave me links to your Wrap-Up posts.